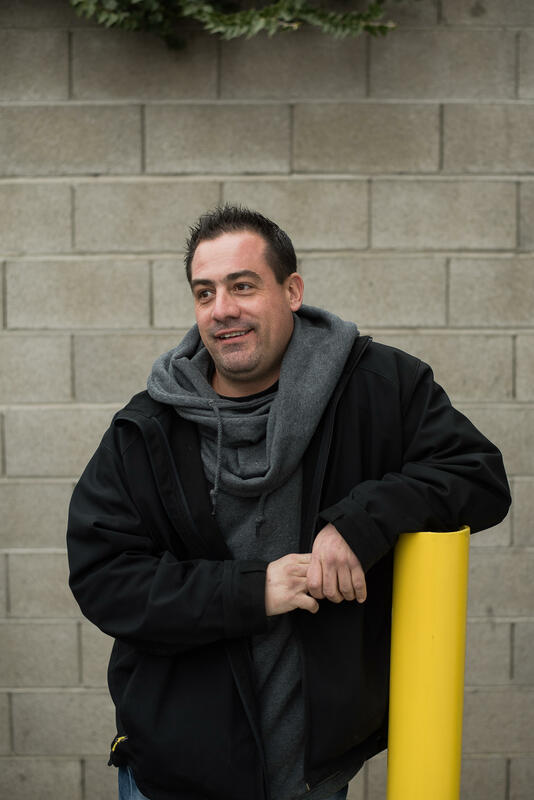 Chris Edwards has had nearly 20 run-ins with debt collectors over the years, often resulting in his wages being garnished. A class of law students at Brigham Young University wants to change this. The group is called LawX, it’s a semester-long project led by Kimball Parker, a practicing lawyer in Salt Lake City. "In other classes, you talk about problems and you theorize about how to solve them. But it doesn’t go anywhere past that," says Parker. "This is probably the only class where you are actually trying to address a problem in a big way. Parker and his nine students have been meeting twice a week in a small conference room in the BYU law building for the past few months. They've been trying to find a solution to what Parker calls "public enemy number one" - debt collection lawsuits. LawX students brainstorm ideas in the very early stages of their debt collection project. If you owe a debt, let’s say it’s a medical bill or a payday loan, there will come a time when the company wants their money. Now, they can come after you themselves or they can sell the debt to a collection agency. Either way, you’ll get a notice or summons sent to you that requires a response. The notice is fine print legalese and it’s confusing. Most people ignore it and in 21 days whatever is written on that paper becomes fact. If you owed $10 but the paper says $1000, now you owe $1000. Despite the risks here, people rarely ask for legal help. Because, naturally, they can’t afford it. 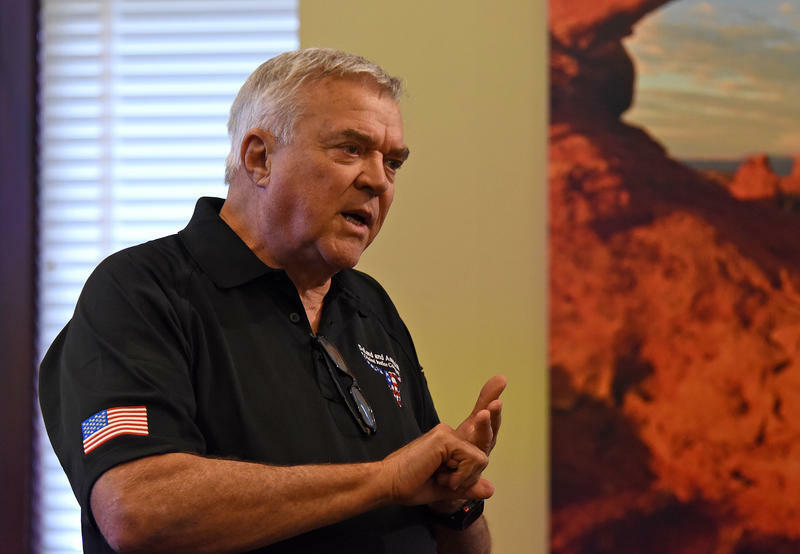 “This is the majority of lawsuits filed in Utah are debt collection lawsuits and 99.5 percent of those people don’t get an attorney," says Parker. This is what this the BYU LawX team wants to change. They want to get free, easily accessible legal help to those who are facing a debt lawsuit. In order to do this they went into full "silicon valley mode." They brought in a team of IBM engineers to help them strategize. They filled a wall with post-it notes and worked on prototypes. But before that, they hit the streets, talking to Utahns who had been through this. 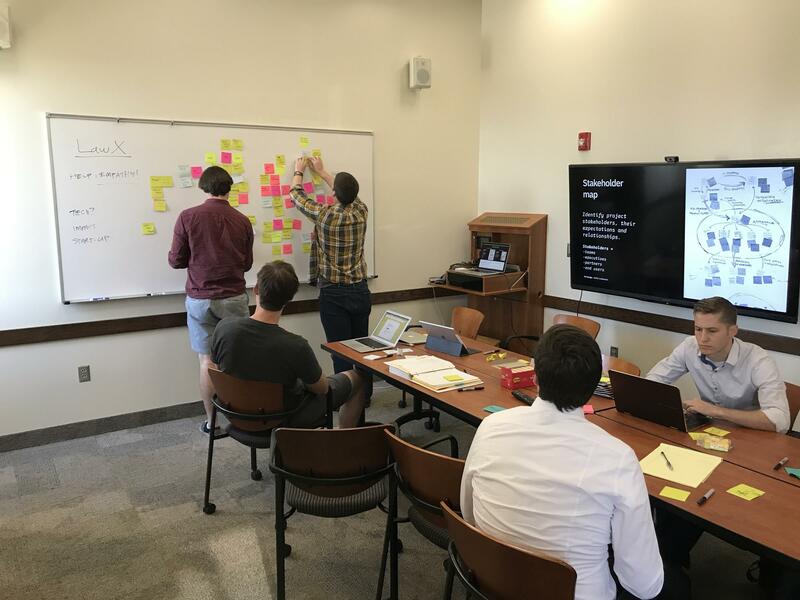 "What we did in the beginning is we broke down into smaller teams and as teams we went out and tracked down people who had filed for a debt," says Erika Nash, one of the BYU LawX students. 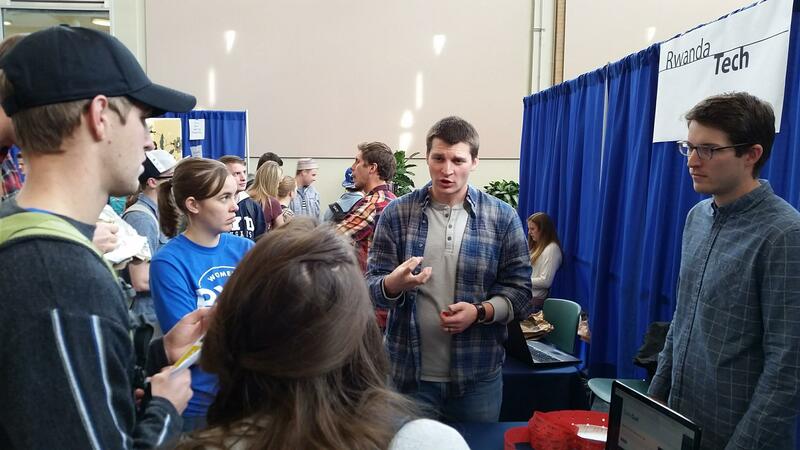 Alan Hickey of the BYU LawX team chats with fellow students during a tech pitch fair on campus. “Because their addresses are on the public documents through the courts we’ve gone and knocked on their doors to speak with people in their houses with their experiences with the courts," says another student, George Simons. The students talked with people like Chris Edwards, who works at a car dealership in Pleasant Grove. Edwards is 40, married, has four kids, three are at home. Over the years he’s had highs and lows financially. He began visiting cash loan centers and he ran into issues. Edwards says debt collectors have come after him nearly 20 times now for various expenses, including a gym membership that lapsed which ended up costing him $1600. He didn’t have the money, and he didn’t get legal help, so the money was taken directly from his paychecks. Despite feeling he was treated unfairly, Edwards has never had legal help in handling his debts, because he couldn’t afford it. This is what really frustrates Kimball Parker. What Parker and his team have been hard at work on is a technology solution that can provide legal assistance free of charge. It won’t be released until next year, so details haven't been released yet, but it should be available to the public soon. Taking a step back, there’s an obvious question here. Why is the system this way to begin with? “It used to be that if you were served with a summons in a small town in Utah, you knew where to go, you had a judge in that town," says Nate Alder, a commissioner for the Utah State Bar. Alder says the way the state handles debt collection could be an example of an old system that no longer makes sense. He readily welcomes what LawX has been cooking up. “If there are solutions out there in terms of technology and innovation and software to help people and to get resources outside of calling a lawyer, that’s terrific, we want that to happen," says Alder. That "we" is referring to are judges and attorneys across the state. He thinks innovations from LawX will get green lights from everyone in the legal community and could possibly change the system itself. “The goal of LawX year after year is to make Utah the state with the most accessible laws in the nation," says Kimball Parker. "We are going to chip away at that year after year." It might seem a little odd that this responsibility falls on a part-time law professor and a handful of students. But that might be the wisdom of something like LawX. Rather than looking for answers among those who are fluent in the current system, BYU is looking to those who are new to it. Using a fresh perspective for sorely needed solutions.